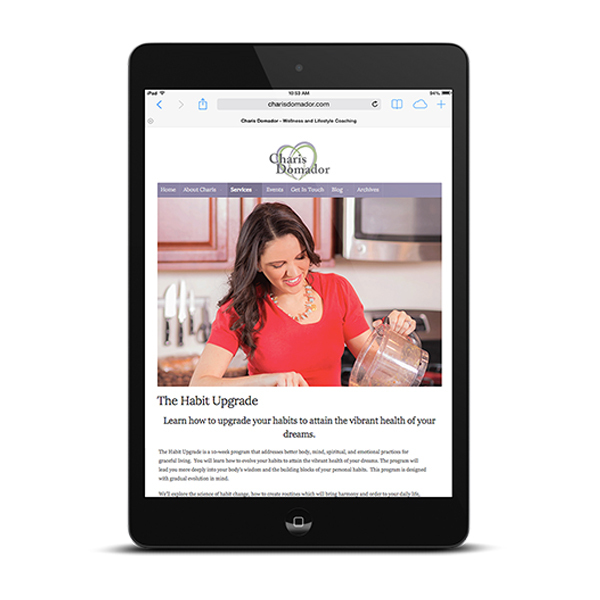 A comprehensive website design for an upcoming lifestyle and nutrition coach based in Arizona. 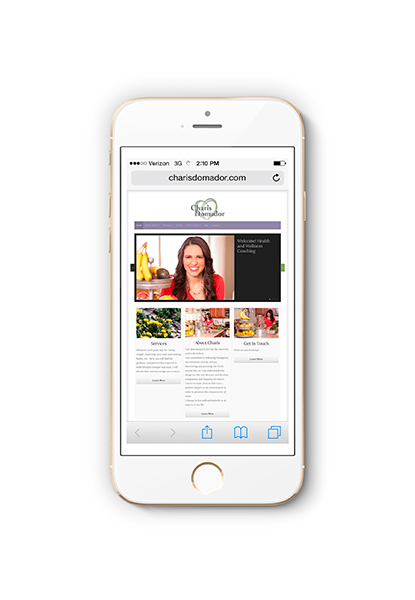 Charis Domador is a lifestyle and nutrition coach based out of Southern Arizona. 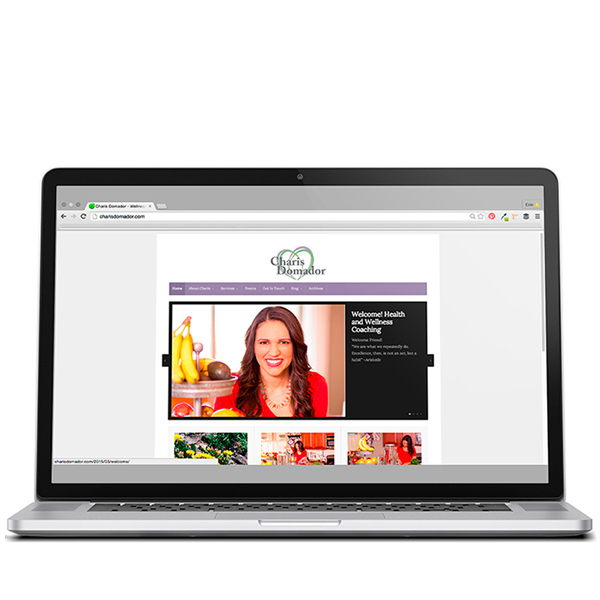 She was just launching her practice and wanted a website that was friendly, up beat and stood out among the other nutrition coaches out there. We chose some lively colors that represented Charis’s philosophy of living life to the fullest and based the design around those. A blog to interact with clients, biographical information and a calendar to schedule appointments online were all incorporated into this project. The website and blog were built on the WordPress platform allowing the client to easily run her blog after project turnover. 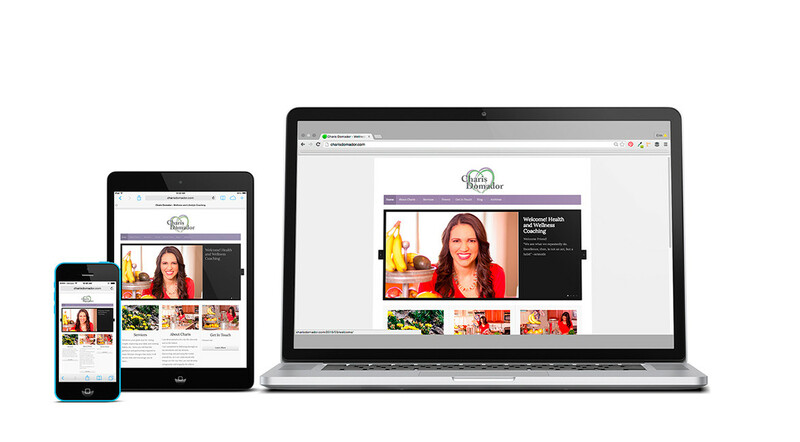 I created several blog post templates for her, and set up Mail Chimp newsletters and integration into site as well. I also created a logo for Charis as well. She has her own yoga practice and wanted something she could use as a personal brand that would apply to both the yoga practice and her lifestyle coaching. Again, the painterly heart logo was used in her chosen colors with some simple typography in the back. Charis preferred serif fonts, which contrasted nicely with the modern feel of the logo. 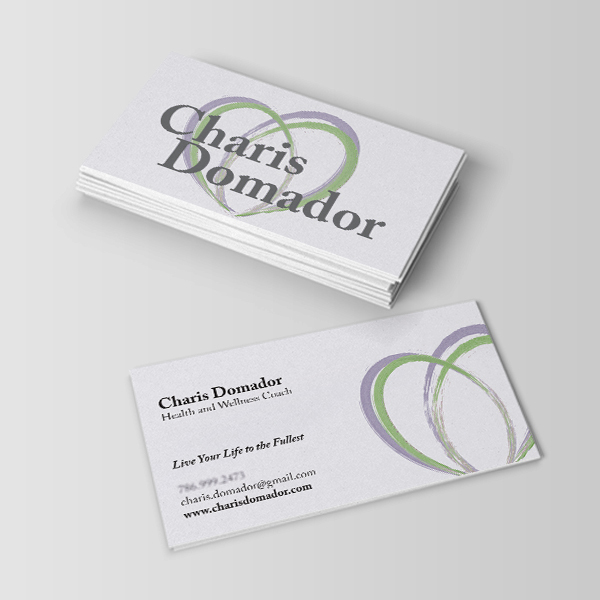 Business cards were created through Vistaprint.